What a strange time I had drawing this one! It took me about two hours before I actually started drawing on the blank page, as I had no idea where I wanted to begin. 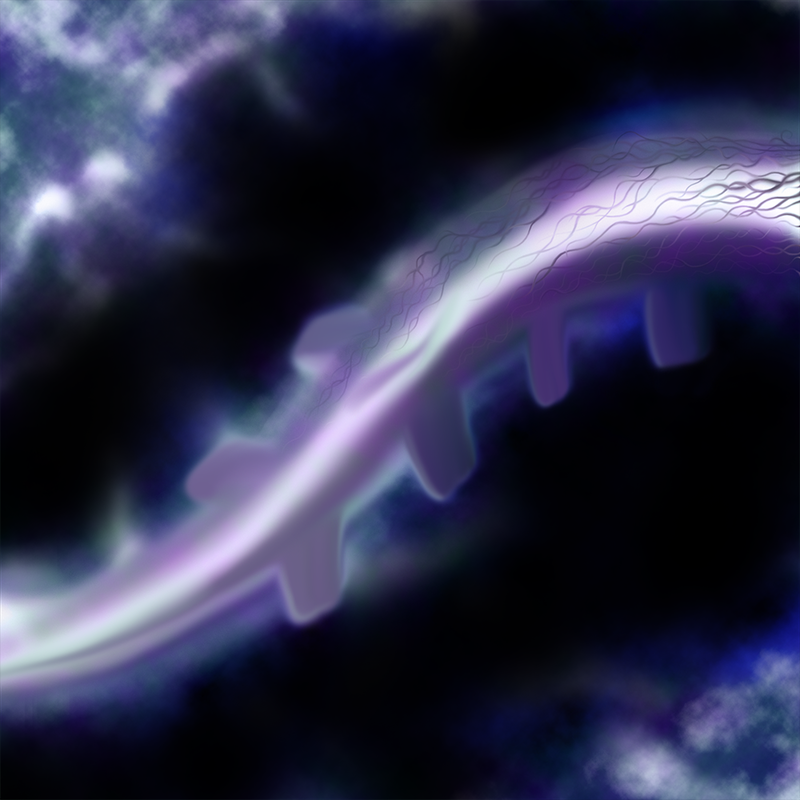 I actually ended up scrapping what I had two times before starting what you see here. Also, I originally thought that my color scheme was the only thing I knew I was going to use from the start, but what once was all various shades of blue, has now become purple. Though there’s still some blue bits, who knows how long they’ll stick around? I have a few more days left before I hit that final day, so there’s no rush. I don’t want any ongoing art projects when I finish up because I want this website to feel like a complete chronicle of my year. And I’ve mentioned this before, but I would like to put together an eBook someday with all of my posts (or just snippets I think are interesting) and a bunch of my finished work from the past year. 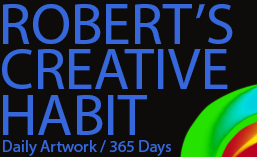 I’ll call it something like, “My Creative Habit 2014/15 by Robert Chapman” Or maybe put “365 days” somewhere in there. Maybe a subtitle. I haven’t given it too much thought really, but it would be neat to have that. You never know how long this website will stay around right? Awesome! I’m so glad you liked this one, because I haven’t been too sure about it so far.